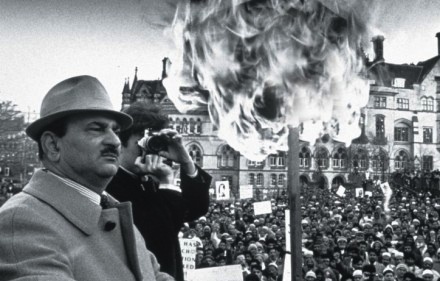 Earlier this week I published an extract from my book From Fatwa to Jihad, that told the story of how the Asian Youth Movements were created in Britain in the 1970s. This second extract explains how the British state and religious conservatives joined forces to marginalise secular radicals in the name of multiculturalism. This is the story of how Bradford came to be painted green. The same story could be told about towns all over Britain. In the summer of 1981 Bradford’s Asian communities were flush with rumours of an impending attack by neo-fascists. A group of young Asians, including Tariq Mehmood, made and stashed away petrol bombs to be used in the event of any such attacks. They were all members of the United Black Youth League, a group that had broken away from the Asian Youth Movement which they felt was not sufficiently radical. Police discovered the petrol bombs on some waste ground and twelve members of the UBYL were arrested and charged with conspiracy to cause an explosion and endanger lives. The trial of the ‘Bradford 12’ the following year created a national sensation. The defendants put up an audacious defence. They openly admitted making the petrol bombs – but argued that they were acting legitimately to protect their communities. Astonishingly, the jury agreed and acquitted all twelve. The council drew up equal opportunity statements, established race relations units and threw money at minority organizations. A twelve-point race relations plan declared that every section of the ‘multiracial, multicultural city’ had ‘an equal right to maintain its own identity, culture, language, religion and customs’. The first aim of its ‘race relations initiative’ to ‘bring about social justice’ by ensuring ‘Equality of esteem between different cultures’. To create its ‘new channel of communication’ the local authority helped set up and fund the Bradford Council for Mosques in 1981. The six founding members of the Council represented various Islamic traditions and sects such as the Deobandis, the Barelvis and the Jamaat-i-Islami. 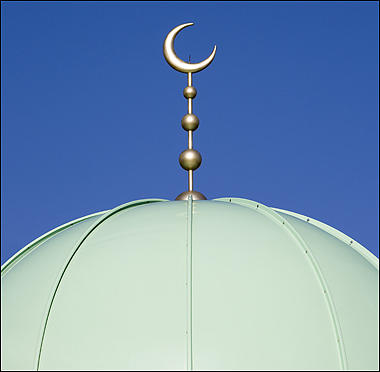 But the Council for Mosques was not primarily a religious organisation. It was designed rather to present itself as the true voice of the ‘Muslim community’ and to be the conduit between that community and public bodies in the city. With the singular exception of Pir Maroof, the Sufi mystic, none of the prime movers behind the Council were ulema, or religious scholars, nor has one ever become the president. It was not imams but businessmen that pulled the strings. The most prominent of these was Sher Azam. He had been president of the Howard Street mosque, the first in Bradford, was one of the founders of the Council for Mosques, became president for more than half its original decade and was the man who helped torch The Satanic Verses. He was also one of Bradford’s leading businessman, running the Al Halal Supermarket and Cash & Carry, an Islamic cooperative with a turnover, in the 1980s, of more than £2 million. One of the myths around which much policy has revolved (and not just in Britain) is that of the all-powerful imam. The ‘preacher of hate’ has become a potent image in both media and policy makers’ discussions about how Islamic terrorists get ‘brainwashed’. An important strand of British policy has been about ‘taming’ the imam, ensuring that he speaks good English and has been trained in the virtues of liberal democracy. There are certainly firebrand preachers such as Abu Hamza who is said to have converted the 7/7 London bombers to terrorism through his incendiary sermons at the Finsbury Park Mosque in north London. But these are the exceptions rather than the rule. Most imams in most British mosques are timid creatures, badly paid, treated not particularly reverently, and whose lack of English is likely to make them not more fiery but less assertive. In The Islamist, Ed Hussain’s account of his descent into radical Islam, he tells of how he and his fellow radicals in the Young Muslim League took over Stepney Mosque in east London. Hussain was, at that time, estranged from his father, who was hostile to radical Islam. The imam at Stepney was a friend of Hussain’s father and equally opposed to radicalism. Yet he felt unable to challenge even 16-year old Hussain. Imams, Hussain observes, ‘tend to be meek’ and ‘very rarely rock the boat. The YMO was perceived in Stepney as a well-connected, educated group of young men, outside the domain of a mosque imam. 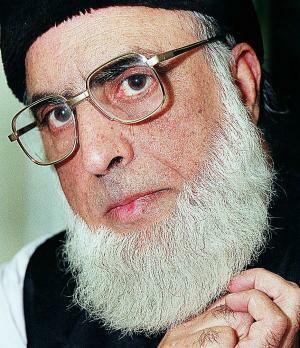 He humbly led the prayers, then left us to listen to the lectures of Sami [an university graduate and supporter of the Jamaat-i-Islami who was training the YMO radicals].’ The real power in a mosque rests with the mosque committee, and the real power in the mosque committee rests with the businessmen who hold the purse strings both in the mosque and in the community. Men like Sher Azam. In Bradford, the local authority backed the Council for Mosques with an initial grant to help it buy the semi-detached Victorian house that was to serve as its headquarters. But its real gift was the funding it provided for mosque-based social projects, including two centres for the elderly, a variety of advice workers and a service for women in hospitals and clinics. It also funded a series of Muslim youth and community centres. Because such arguments came from Muslim leaders, Bradford Council did not even have to accept responsibility for the new strategy. This was not the only responsibility of which the local authority washed its hands. By subcontracting its mandate for providing welfare services, the local council expected the Council of Mosques not just to attend to the wellbeing of Muslims in the town but also to maintain peace and decorum within its community. Council officials saw Islam, rather than any secular ideology or political policy, as the best way to keep angry young men in check. As Dervla Murphy put it in Tales from Two Cities, her account of 1980s Bradford and Birmingham, ‘The prospect of thousands of jobless young Muslims, untamed by Islam, adrift in the inner-cities alarms me much more than that other problem – at present attracting so much attention – of thousands of jobless young Blacks on the loose. The virtues of the Muslim community – industry, forward-planning, group-loyalty, agile thinking, efficient teamwork, puposefulness – could, if deprived of a legitimate arena, produce a law and order problem that would make the Black’s sporadic outbursts of despairing violence seem trivial.’ Mohammed Ajeeb, then a Labour councillor who was later to become Bradford’s first Asian Lord Mayor, had noted in a radio interview that ‘our children are bound to be influenced by the values of their British counterparts’ and may not be able to ‘withstand… Western values and culture’. Murphy was appalled. ‘If Mohammed Ajeeb’s forecast is proved correct’, she warned, ‘then my forecast is Big Trouble Ahead’. 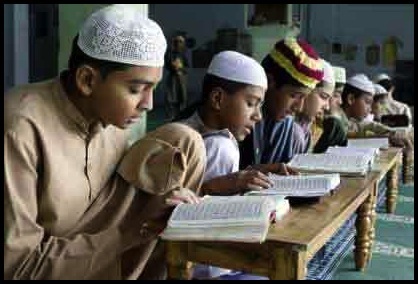 Why should Islam be a panacea for the social ills of young men of Pakistani and Bangladeshi origin, but irrelevant to everyone else? What is it about Western values that would poison the souls of young Muslims, and seemingly only of young Muslims? Why would it not have been more rational to provide jobs and equal opportunities for the alienated young and treat them as one would treat everyone else? Murphy does not say. Nor did the myriad policy makers whose views she echoed. They simply accepted that ‘Western values’ were a form of virus within Asian communities and that the best inoculation was a good dose of Islam. Over time what became subcontracted out was not simply the provision of welfare but political authority too. Rather than appeal to Muslims as British citizens, and attempt to draw them into the mainstream political process, politicians and policy makers came to see them as people whose primarily loyalty was to their faith and who could be politically engaged only by Muslim ‘community leaders’. It was a policy that encouraged Muslims to view themselves as semi-detached Britons – and which inevitably played into the hands of radical Islamists. The Bradford Council for Mosques, of course, seized its opportunity with great zeal. The local authority had effectively installed it as the custodian of the Muslim community, a community that did not exist until council policy had parcelled it up and given it as a gift to the Council for Mosques. Few – apart from a handful of religious leaders and mosque officials – had thought of themselves as ‘Muslim’. They might have seen themselves as Pakistani, or Bengali, or Kashmiri or Sylhetti or Asian or, perhaps, British, but very rarely Muslim. The first mosque in Bradford was opened in 1959, in the back room of a Victorian semi in Howard Street. It was run by the Pakistani Welfare Association and trustees included both West and East Pakistanis from a variety of sectarian traditions. It was used mainly on Sunday afternoons not just for religious, but also for more practical activities. English speakers among the gathering would translate official documents for their peers and address their letters home. Over the next half-century, another 43 mosques were built in Bradford, and the various Muslim communities and traditions all created their own places of worship. The Howard Street mosque was taken over by Pathans and Punjabis from the Chhachh region of the Punjab. In 1968 they installed a Deobandi as their first full time alim. Yet, as one academic study has observed, migrants in the 1950s and 1960s ‘suffered an almost total lapse of religious observance. 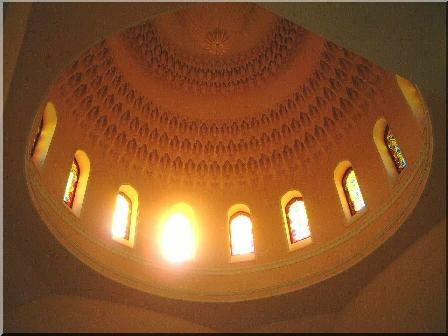 It was not that they were not pious; it was more that did not see Islam as an all-encompassing philosophy. The writer and director Pervaiz Khan, whose family came to Britain in the 1950s, remembers his father and uncles going to the pub for a pint. ‘They did not bring drink home’, he says. ‘And they did not make a song and dance about it. But everyone knew they drank. And they were never ostracised for it.’ His family belong to the Sufi tradition – as do the majority of subcontinental Muslims in Britain – and were very easy going. ‘They rarely fasted at Ramadan’, Khan says, ‘and often missed Friday prayers. They did not boast about it. But they were not pariahs for it. It is very different from today.’ His parents had no objection to him attending Christian assemblies at school, joining in the harvest festival concert or taking part in Nativity plays. My parents would not allow me to attend (Christian) religious education classes, but were otherwise very relaxed about their faith. ‘It was’, as Khan observes,’ so different from what Muslim parents are like today’. 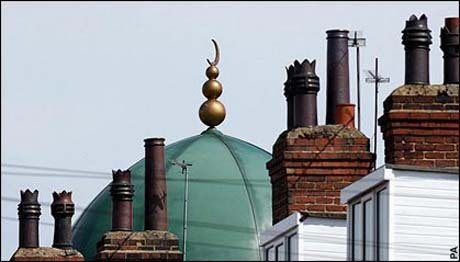 The first mosque for Bradford’s Bangladeshi community was not opened until 1970, in two houses in Cornwall Road; it was almost 15 years before a second was built. By 1990 the much larger Mirpuri community had built 18 mosques in the city – but 14 of these had been constructed in the previous ten years. One reason that so many new mosques began sprouting up in the 80s was the growing self-confidence of Muslim communities. But that is only half the story. For what the pattern of mosque-building in Bradford reveals is that it was not the piety of first generation Muslims that led to the Islamisation of the town. It was, rather, the power, influence and money that accrued to religious leaders in the 1980s as a result of Bradford City Council’s multicultural policies. Multiculturalism helped paint Bradford Muslim green. Once the mosques became the voice of the community, then Muslim became the identity stamped upon every individual within that community. People began to accept that identity as their own, because it was the way to relate to the outside world. Just as the Council for Mosques became the channel of communication between the Muslim community and local organisations, so Muslim identity became the interface between individuals within that community and outside world. In The Satanic Verses, one of the anti-heroes Saladin Chamcha is incarcerated in a detention centre for illegal immigrants. He discovers that, like himself, his fellow inmates have been transformed into beasts – water buffaloes, snakes, manticores. How do they do it, he asks one of the inmates. ‘They describe us’, comes the reply, ‘that’s all. They have the power of description and we succumb to the pictures they construct.’ Rushdie was writing of the way that racism demonises immigrants. He could equally have been talking of the way that multiculturalism imposes identity. As part of its brief to allow different communities to express their distinct identities, Bradford Council helped set up, not just the Bradford Council for Mosques, but also two other religious umbrella groups: the Federation for Sikh Organizations and the Vishwa Hindu Parishad, both created in 1984. As each community fought for a greater allocation of council funding, so new divisions and tensions were created within and between different communities. There had always been residential segregation between the black and white communities in Bradford, thanks to a combination of racism, especially in council house allocation, and of a desire among Asians to find safety in numbers. But within Asian areas, Muslims, Sikhs and Hindus lived cheek by jowl for much of the postwar period. In the 1980s, however, the three communities started dividing. They began increasingly to live in different areas, attend different schools and organize through different institutions. New council-funded community organizations and youth centres were set up according to religious and ethnic affiliations. By the early 1990s, even the Asian business community was institutionally divided along community lines with the creation in 1987 of the largely Hindu and Sikh Institute of Asian Businesses; of the Hindu Economic Development Forum in 1989; and of the Muslim-dominated Asian Business and Professional Club in 1991. The real segregation, however, was not physical or organisational but took place in the mind. Multiculturalism transformed the character of anti-racism in Bradford. 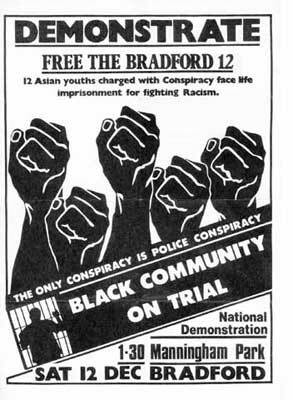 At the end of the 1970s, the main issues that concerned black and Asian communities were largely political: opposition to discrimination in the workplace, organising against racist attacks, preventing deportations and ending police brutality. By the mid-1980s, however, the focus had shifted to religious and cultural issues. What convulsed Bradford now were demands for separate Muslim schools and for separate education for girls, a campaign for halal meat to be served at school, and, most explosively, the confrontation over The Satanic Verses. Political struggles unite across ethnic or cultural divisions; cultural struggles inevitably fragment. As different groups began asserting their particular identities ever more fiercely, so the shift from the political to the cultural arena helped to create a more tribal city. The Asian Youth Movement, a beacon in the 1970s of a united struggle against racism, split up, torn apart by such multicultural tensions. UBYL and most of Bradford 12 people followed a Marxist Lennist ideal. The 12 were Muslims, Sikhs and Hindus. Religion never played a part in the thinking of the movement.